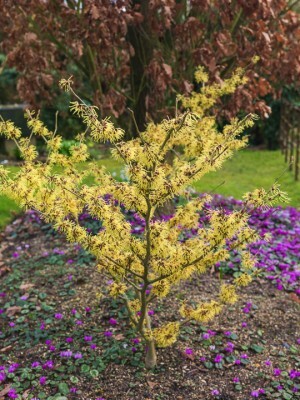 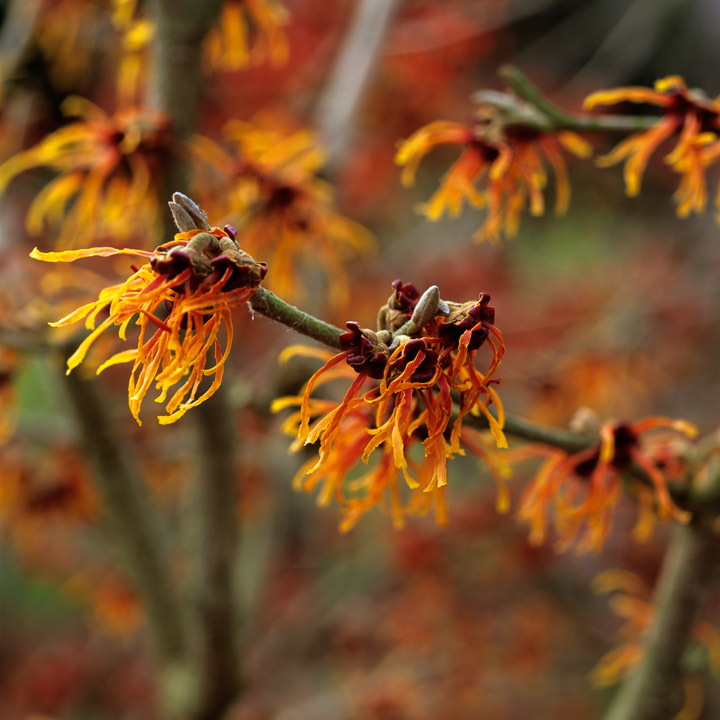 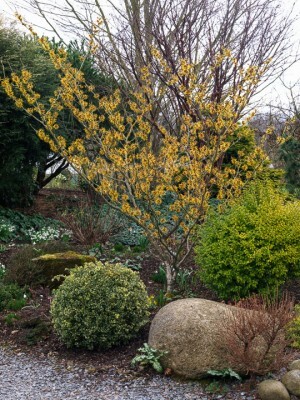 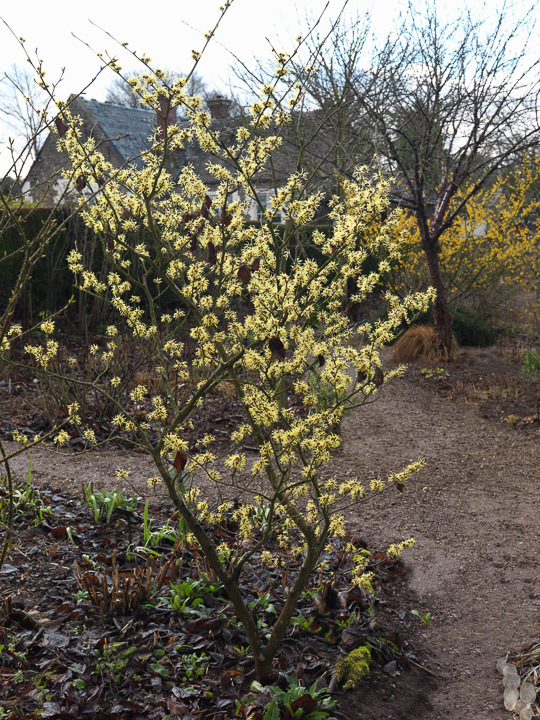 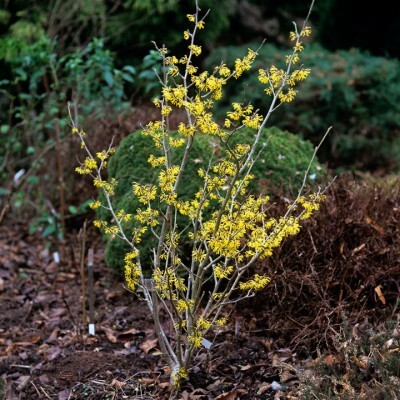 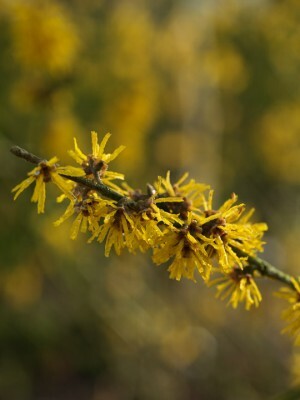 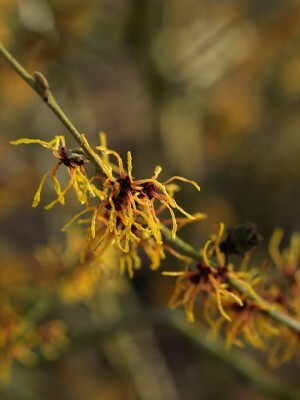 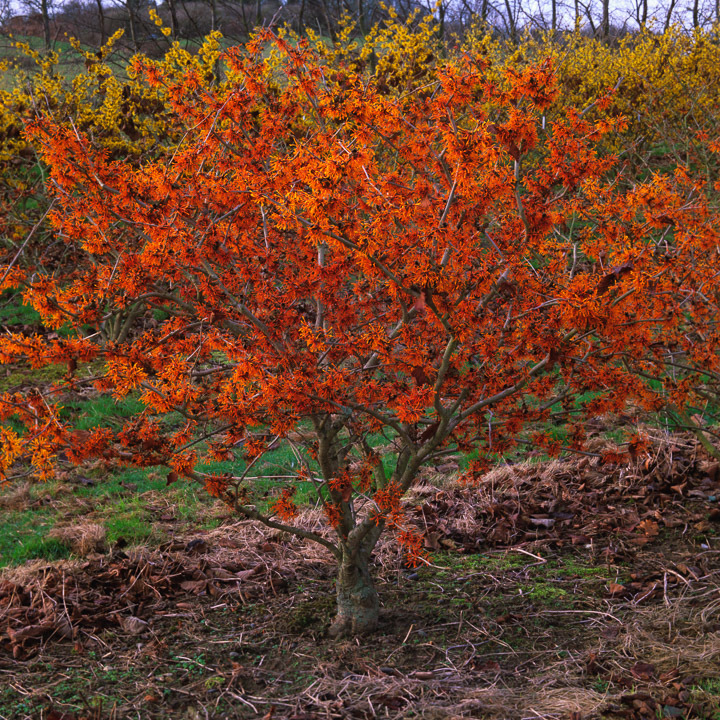 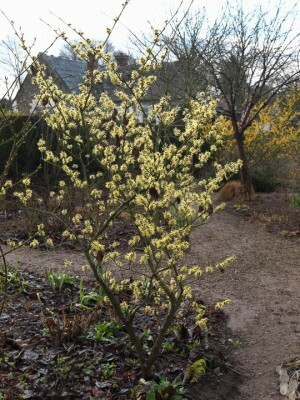 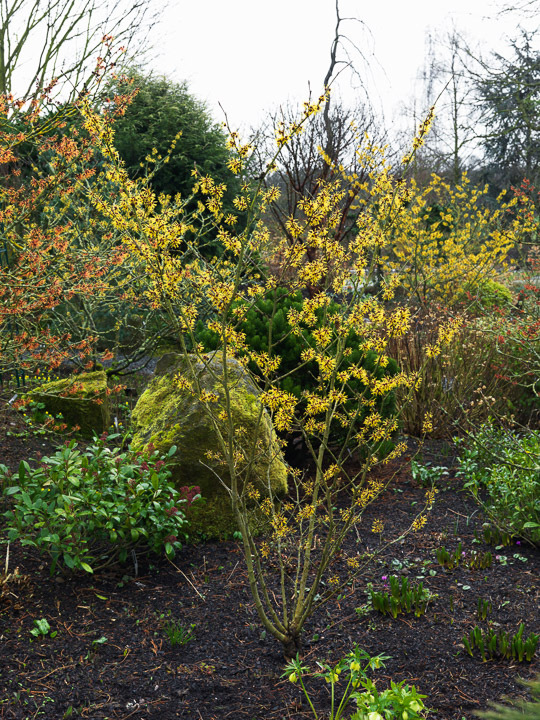 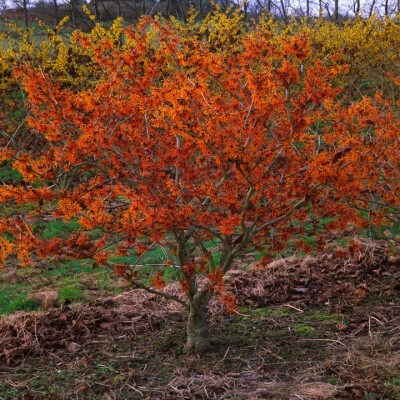 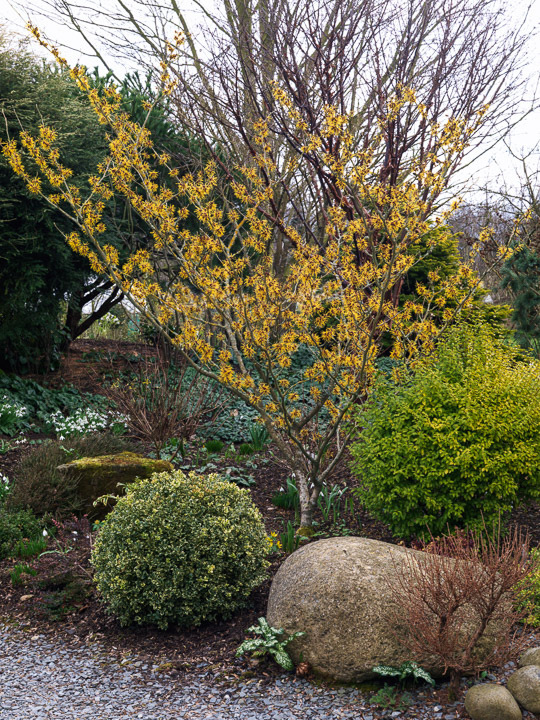 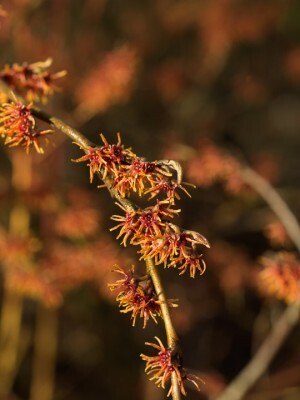 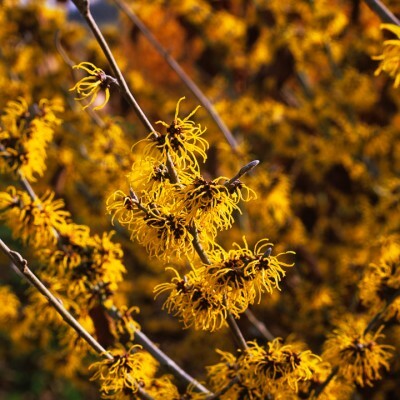 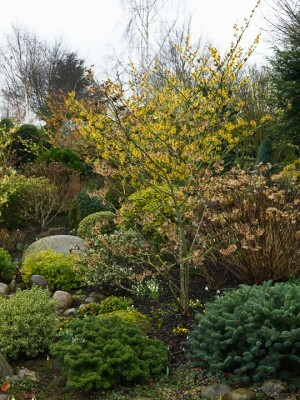 A few days before flowering, a small deciduous witch hazel tree would not merit a second glance. 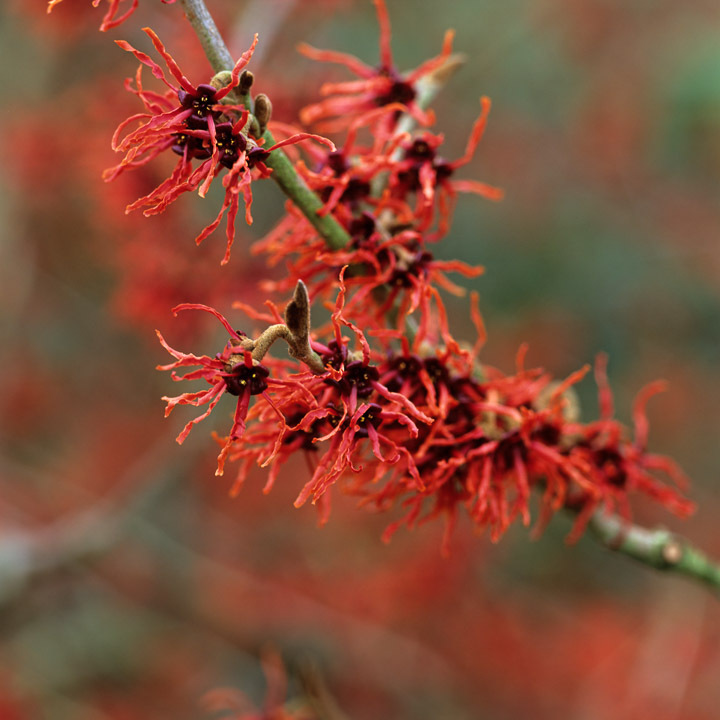 Stripped of leaves, only the small, hairy buds hint at the clusters of fragile, flame-tinted, spidery-shaped flowers that snuggle within. 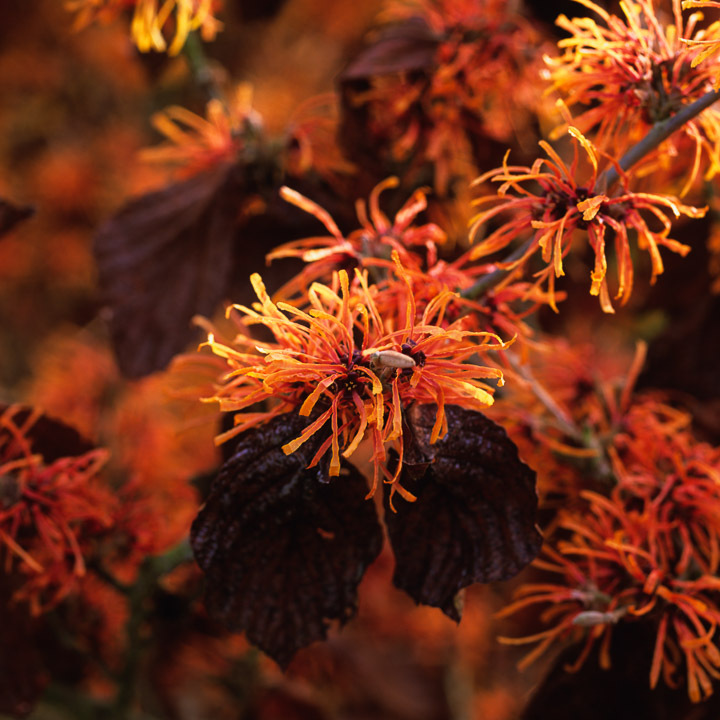 After a hard frost, the crimped petals unfurl in the red, purple, orange or golden hues found amongst the dozens of different varieties. 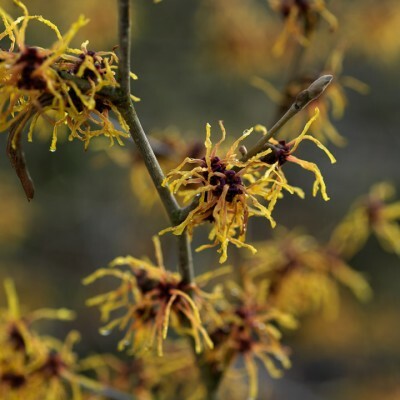 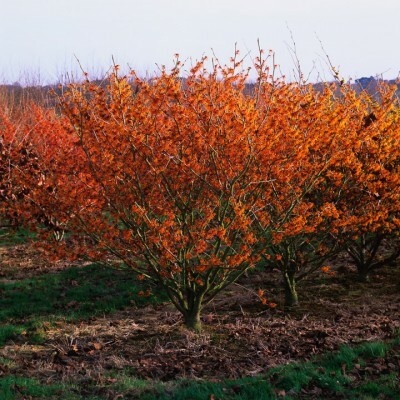 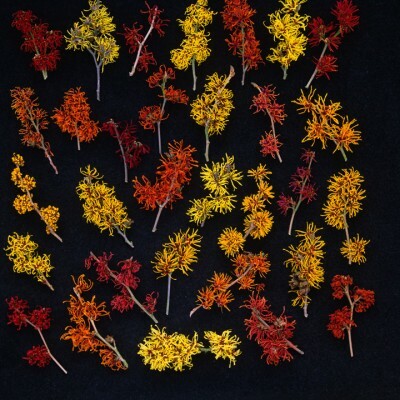 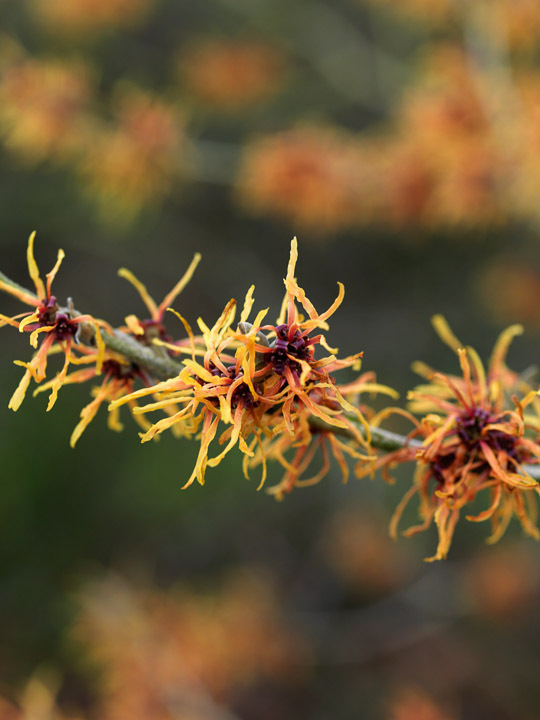 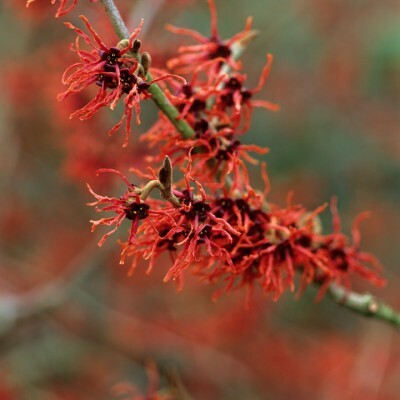 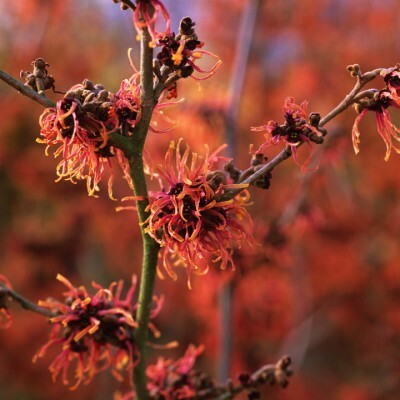 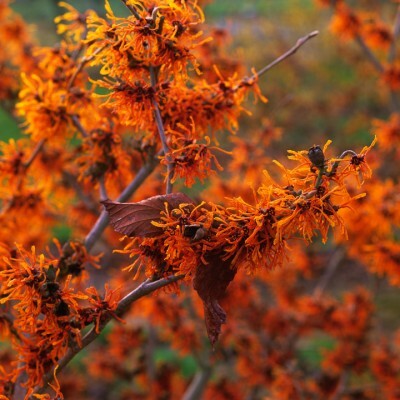 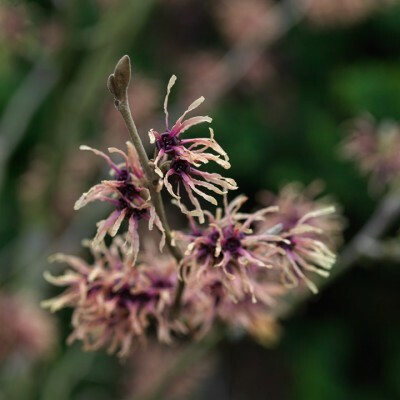 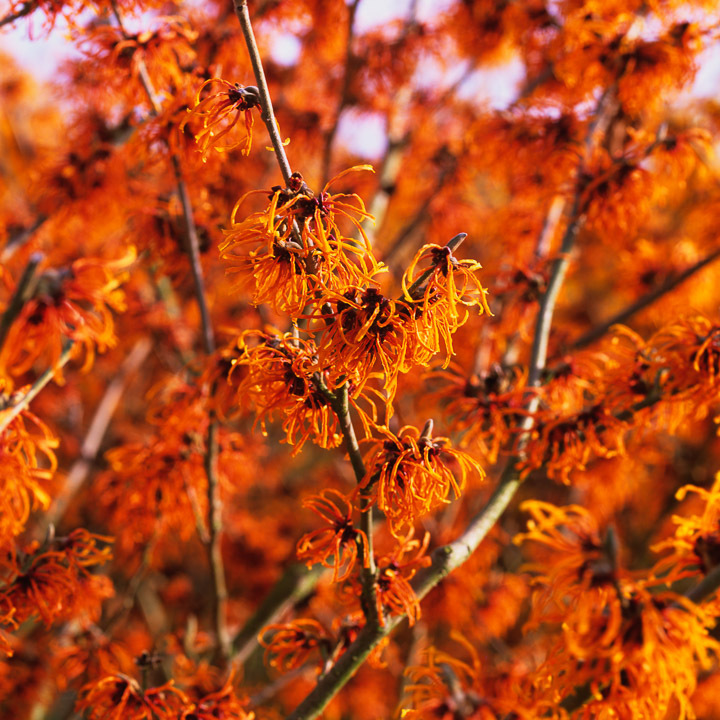 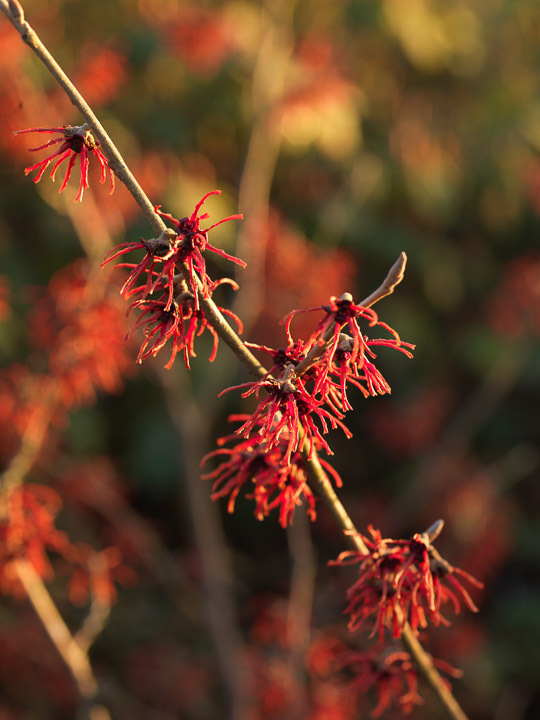 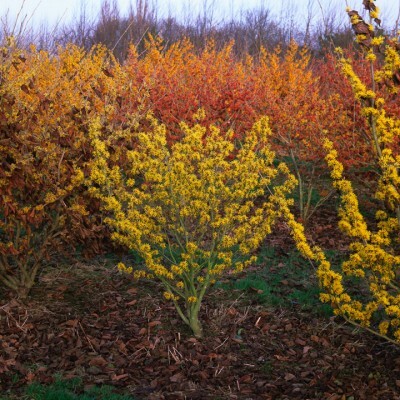 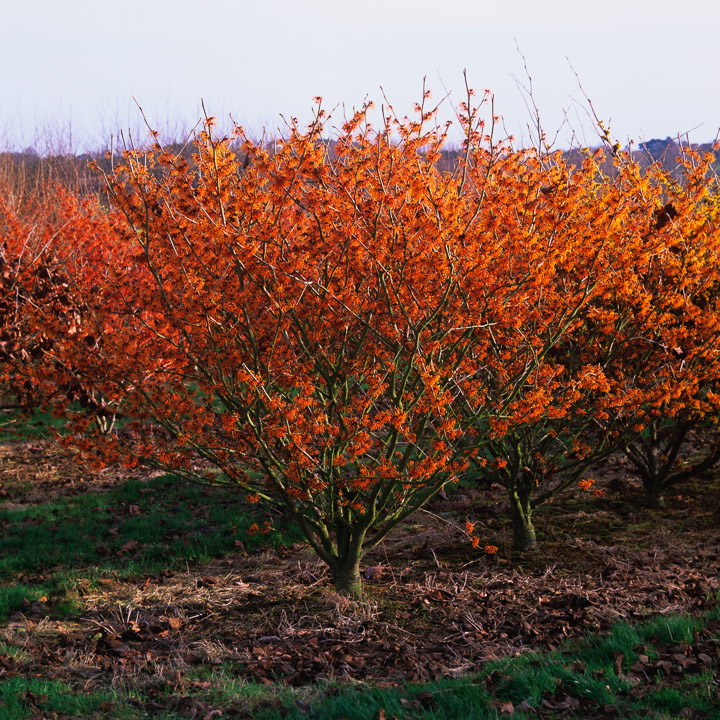 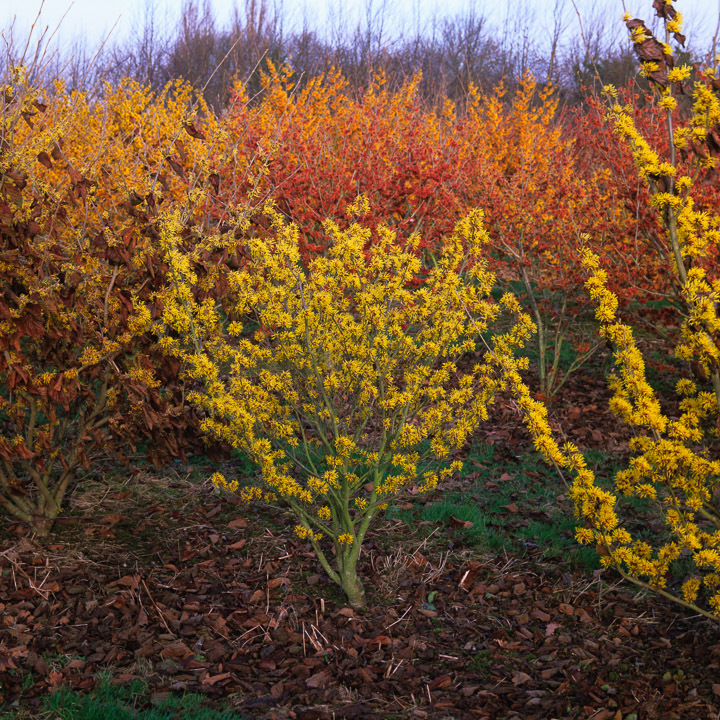 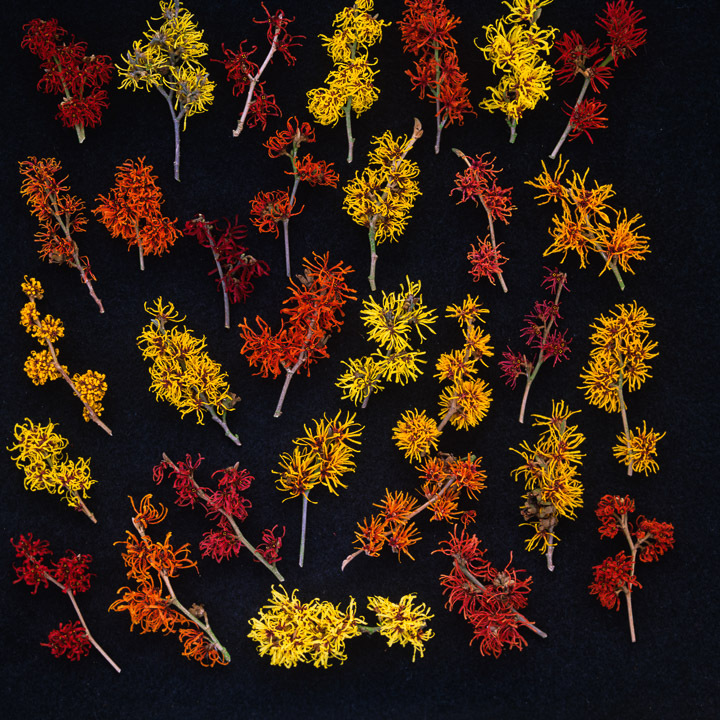 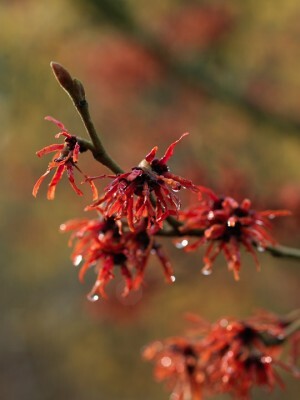 There are five species of deciduous witch hazels, the largest being Hamamelis x intermedia, a mix of Japanese and Chinese varieties. 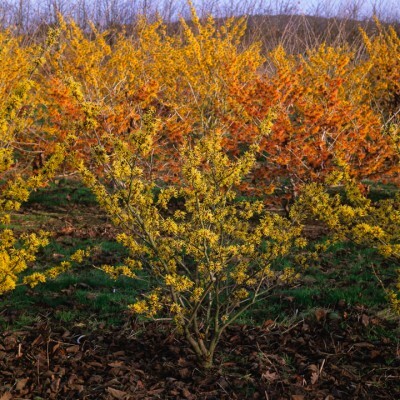 Initially, most were yellow, but soon orange tints were introduced. 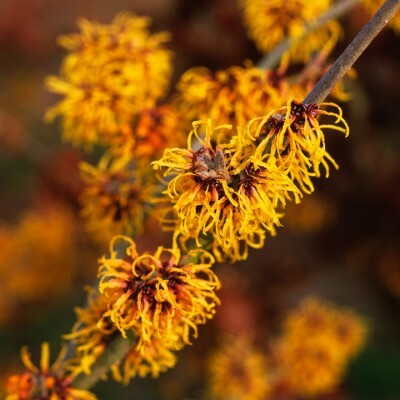 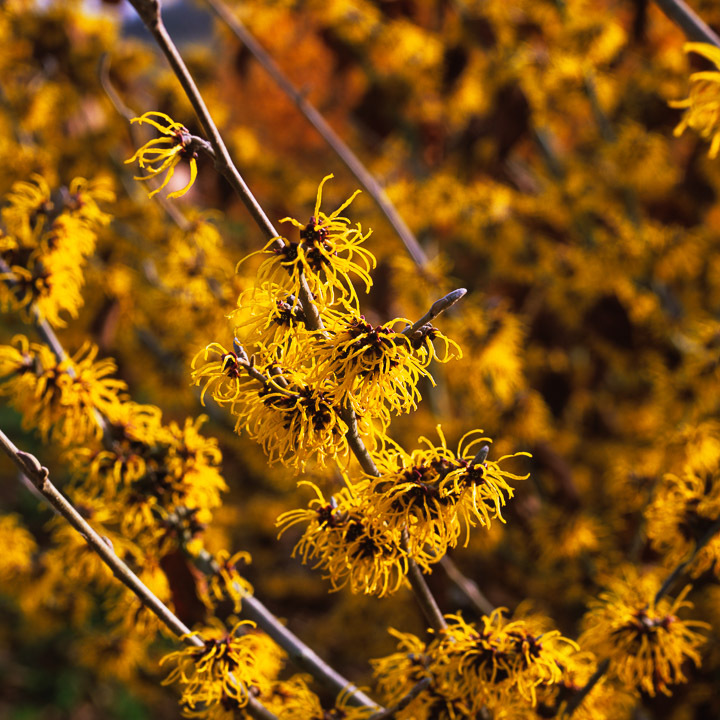 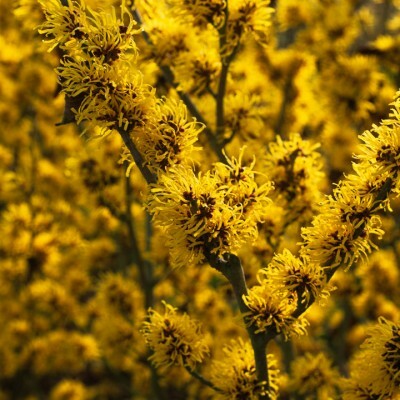 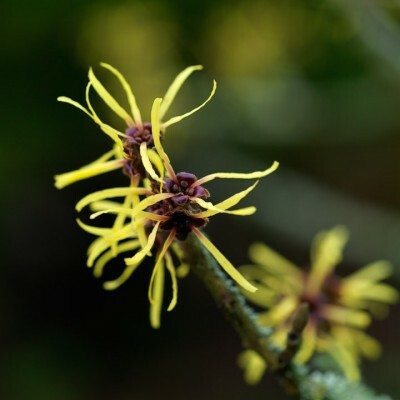 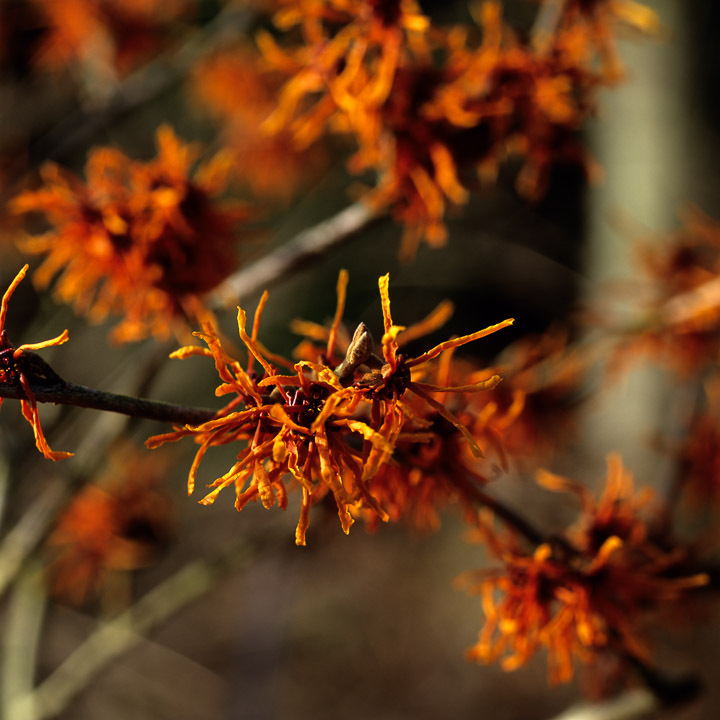 If a witch hazel’s colour does not attract attention, then its perfume surely will, a blend of jasmine and citrus with a hint of spice.